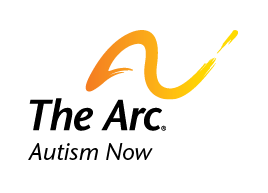 The Arc’s Catalyst Awards were created to recognize individuals, businesses, and other organizations that are catalysts for achievement in the lives of people with intellectual and developmental disabilities (I/DD). In honor of National Disability Employment Awareness Month (NDEAM) we would like to highlight three of our 2015 Catalyst Award winners that have distinguished themselves as champions in creating employment opportunities for individuals with disabilities. Acadia Windows and Doors, winner of Small Business Employer of the Year Award, is located in Aberdeen, MD. The business partners with The Arc Northern Chesapeake Region to not only employ individuals with I/DD, but to educate other local employers about the importance of including people with disabilities in the workforce. Changes that have been made at the plant to accommodate employees with I/DD have actually created a safer work environment for all employees, leading Acadia Windows and Doors to win the Safety and Health Achievement Recognition award from Occupational Health and Safety Administration. SAP was awarded National Employer of the Year for the work done through its Autism at Work Initiative. The initiative, headed by Jose Velasco, was started in 2013 and has set a goal of having 1 percent of the company’s total workforce be people on the autism spectrum by 2020. Through a partnership with the Danish nonprofit Specialisterne and The [email protected], SAP has successfully hired 12 individuals on the spectrum at pilot sites in Palo Alto, CA and Philadelphia, PA. SAP is currently in the process of hiring up to 17 more individuals with I/DD at the Philadelphia site this fall. Tom Wheeler, winner of the Federal Government Advocate of the Year, is the Chairman of the Federal Communications Commission in Washington, DC and created the Disability Advisory Committee of the FCC. Thanks to Tom’s outstanding work 7 individuals with I/DD have been hired at the FCC and are receiving competitive salaries and benefits; and these 7 are just the beginning. As the FCC continues to hire and support individuals with I/DD it will serve as an example to the federal government as whole. These three trailblazers have set outstanding examples of acceptance and inclusion for individuals with disabilities in the workplace. Their commitment to an inclusive work culture has created valuable opportunities for their employees with I/DD and allows individuals with I/DD to live more independently and as active members of their communities. We have a long way to go in realizing the goal of higher rates of employment for people with I/DD – today, 85% of people with I/DD are unemployed. Are you feeling inspired to become a catalyst for change, and willing to work with us to unlock the talent of people with I/DD to better their lives and improve your workplace? To learn more about the employment related services available to chapters and businesses through The [email protected], please visit our website. Date posted: October 23, 2015. Content created by The Autism NOW Center. Last updated: October 23, 2015. Find similar blog posts posted in: Posts by the Director.